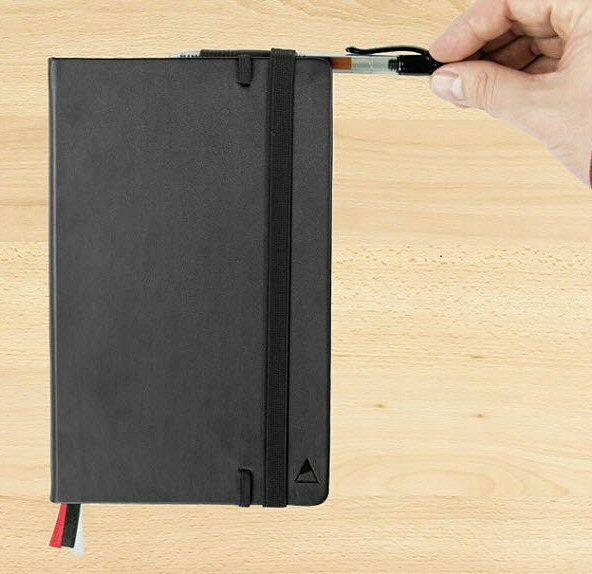 NEWS – We’re big fans of notebooks, journals and planners here at The Gadgeteer, especially ones that have unique, extra features, like the NOMATIC Notebook and NOMATIC Planner. Both of these notebooks are 5.5 x 8.75 inches and include whiteboard paper, three bookmark ribbons, dual elastic straps, pen holder (see photo above), back pocket, perforated pages, and lay-flat design. Additionally, the Planner includes both weekly and monthly planner, goal mapping, to-do lists, effectiveness activities, and daily goals. They also include a 100% satisfaction Lifetime Guarantee. Available in Black or Mint colors with the Notebook priced at $24.99 and the Planner priced at $29.99. Visit NOMATIC.com for more info or to order.